The Orthodox Church prepares its faithful to welcome the Nativity of Christ in a worthy manner by means of a 40-day Nativity fast, which lasts from November 15th to December 25. Holy Tradition tells us that shortly before the righteous Joseph and the Holy Virgin set off for Bethlehem, they were subjected to the following tribulation. A certain scribe by the name of Ananias, entering their home and seeing the Virgin pregnant, was severely distressed and went to the High Priest and the entire Jewish council, saying: “Joseph the carpenter, who has been regarded as a righteous man, has committed an iniquity. He has secretly violated the Virgin Who was given to him from the temple of God for safekeeping; and now she is with child.” Then the High Priest’s servants went to Joseph’s house, took Mary and Joseph, and brought them to the High Priest, who began to denounce and shame the Most-blessed Virgin Mary. But the Holy Virgin, crying in deep sorrow, replied: “The Lord God is my witness that I am innocent and have known no man.” Then the High Priest accused the righteous Joseph, but the latter swore on oath that he was not guilty of this sin. Yet the High Priest did not believe them and subjected them to the trial that was customary in those times. However, the trial just served to confirm the innocence of the Holy Virgin and the righteous Joseph. All those present were amazed at this, unable to understand how a Virgin could simultaneously be with child and yet remain inviolate. After that the High Priest allowed the holy couple to go home in peace. 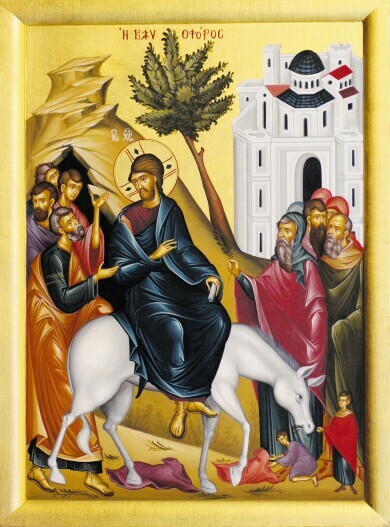 The righteous Joseph took the Virgin Mary and went to his house, joyously glorifying God. But this was not the end of the Holy Theotokos’ trials. It is well known that afterwards she shared with Joseph the toil of a three-day journey from Nazareth to Bethlehem. And in Bethlehem there was no place for the Holy Virgin either in an inn, or in some home, and since night was already approaching. She was forced to seek shelter in a cave which served as a resting and feeding place for cattle. In this most humble of shelters the Most-blessed Virgin remained in prayer and divine contemplation. It is here that she painlessly gave birth to our Lord Jesus Christ, Savior of the world. We can see from all of the above that the days immediately preceding the Nativity were not days of rest and comfort for the Holy Mother of God. In those days she suffered various sorrows and trials, but did not leave off her prayers and contemplation. The Holy Church appeals to the faithful to participate, at least to some small degree, in the Holy Theotokos’ spiritual labor, constraining one’s flesh during the Nativity fast and nourishing one’s soul with prayer. However, the Church warns us that external fasting only is not enough. We must also apply ourselves to internal fasting, which consists of shunning malice, deceit, wrath, worldly bustle, and other vices. During this fast, as at all times, we must show works of love and mercy to others; doing all we can to help those who are in need and in sorrow. Only then will our fasting be genuine, God-pleasing, and only then will we know the true joy of the bright feast of Christ’s Nativity.